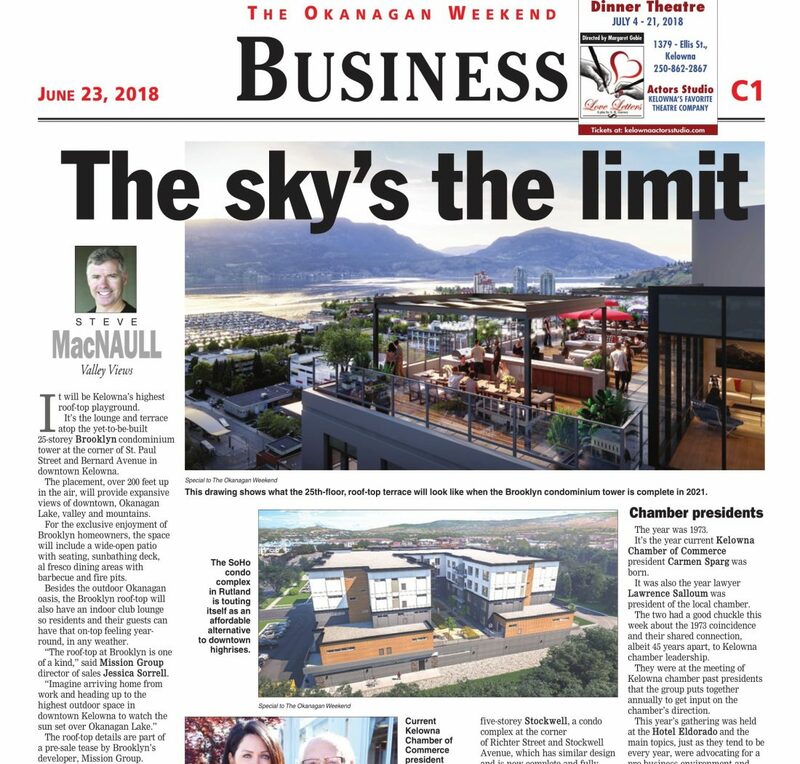 The Daily Courier’s Okanagan Weekend business section gives Mission Group’s Brooklyn on Bernard and its roof-top patio the front page. It’s the lounge and terrace atop the yet-to-be-built 25-storey Brooklyn condominium tower at the corner of St. Paul Street and Bernard Avenue in downtown Kelowna. The placement, over 200 feet up in the air, will provide expansive views of downtown, Okanagan Lake, valley and mountains. For the exclusive enjoyment of Brooklyn homeowners, the space will include a wide-open patio with seating, sunbathing deck, al fresco dining areas with barbecue and fire pits. 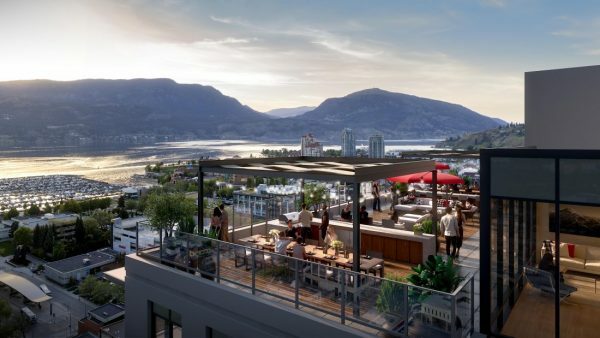 Besides the outdoor Okanagan oasis, the Brooklyn roof top will also have an indoor club lounge so residents and their guests can have that on-top feeling year-round, in any weather. “The roof-top at Brooklyn is one of a kind,” said Mission Group director of sales Jessica Sorrell.